Kits > Bambino Cuddle Kit Hay, There! 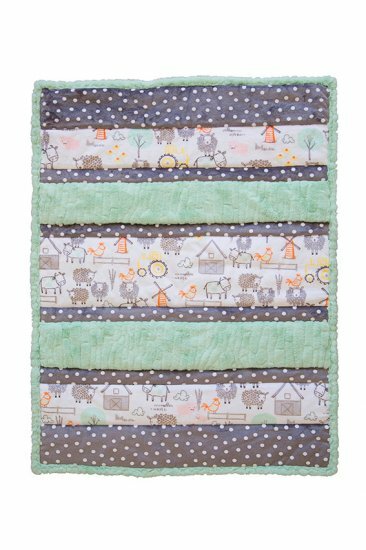 Quilt front fabric includes Luxe Cuddle Luna Honeydew, E-I-E-I-O Cuddle Seaspray, Alotta Dots Cuddle Graphite, Binding is Luxe Cuddle Luna Honeydew. Backing is E-I-E-I-O Cuddle Seaspray.